24.8 "Andean Region Contractor Accountability Act"
Tammy Baldwin (D-WI) for Senate was endorsed in 2018 by Council for a Livable World. 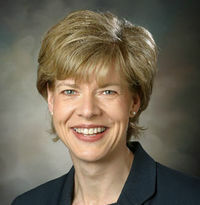 Tammy Baldwin has been a progressive star in Congress since 1998 when she was first elected to the U.S. House of Representatives. There, she was one of the first House opponents of the war in Iraq and voted for early withdrawal of American troops from both Iraq and Afghanistan. She had a tough Senate race in 2012, running against former four-term Governor Tommy Thompson who was favored, but Baldwin won 51%–46%. She became the first woman Wisconsin had sent to the Senate, and the first openly gay member ever elected to the Senate. In the Senate, Baldwin has voted terrifically on national security issues. On the Iran nuclear agreement, she said: “I’m proud that America led six countries toward an historic international agreement with Iran. I believe we are right to choose a path of international diplomacy to achieve our goal of verifiably preventing Iran from acquiring a nuclear weapon.” On North Korea, she has urged the crisis be de-escalated and that the United States exhaust every diplomatic option. On the Council scorecard, she has scored a perfect 100% on key votes in the Senate. She’s earned that support in her 12 years of service in the House, where she has represented Wisconsin’s 2nd District. For example, during last week’s debate on the ill-advised trade agreements with Panama, South Korea, and Colombia, Baldwin opposed the agreements and stood up for the middle class. Baldwin voted against the deals because she believed they would exacerbate the U.S. trade deficit and further erode the U.S. manufacturing base, hurting American workers. 7:00 p.m.-9:00 p.m. Words of Recognition of Cecilia Zarate-Laun, CSN Co-founder and Program Director who passed away on February 5, 2017. (Jack Laun and Flora Csontos, U.S. 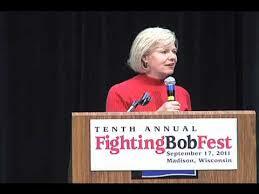 Senator Tammy Baldwin’s Southcentral Regional Representative). Mai Tyler of the Colombia Support Network works for Senator Baldwin. Finance Assistant Tammy Baldwin for Senate Jul 2017 – Present. Scheduling Intern. Office of Senator Tammy Baldwin, Jan 2016 – Jun 2016. Madison, Wisconsin. Tammy Baldwin, U.S. Senate, Wisconsin, was endorsed by Democracy for America in 2018. This page was last modified on 18 November 2018, at 19:01.